The Southernmost Point Guest House in Key West is an ocean view bed and breakfast in Key West, FL, located on the quiet end of world-renowned Duval Street. This house, with its elaborate Queen Anne style detailing, was built in 1894 by E. H. Gato, Sr. 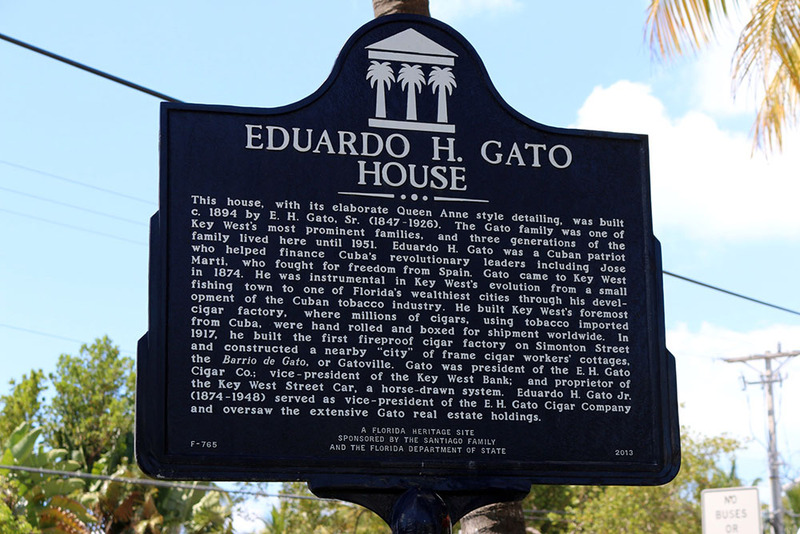 Soon after the house was built, Gato realized the rambling Victorian home was not getting the right sun exposure on his favorite porches, so he moved the house across the street. He had the huge structure rolled on logs pulled by mules. He also rotated the house to create the most favorable mix of sun and shade. Today, his decision to move the house to its current location makes for an enjoyable experience for the many guests who relish in the breeze on the shady porches. Since the home’s original address—1327 Duval Street—remains, it’s the only home on its side of Duval Street with an odd number, which makes just one more reason that it’s so unique. The Santiago family purchased the home in 1987 and converted it into the charming bed and breakfast that exists today. The 13-room house has been renovated and restored. It is surrounded by tropical foliage with relaxing hammocks nestled in the gardens. Tall, mature palms provide privacy to the second story porches, and exotic orchids dot the property. A stay at the Southernmost Point Guest House is like staying with friends in paradise. Start your day with complimentary breakfast on the veranda or in the gardens. From our balconies, you’ll enjoy ocean breezes and views of the turquoise waters of the Atlantic Ocean. You can lounge poolside and gaze into a neighboring butterfly and nature conservatory or put your toes in the sand at South Beach, which is just a half-block away, and we’ll provide the beach towels.